Camp Tawingo Outdoor Centre celebrates the marriage of recreation and education by exploring a classroom without walls in the out of doors. With over 40 years of expertise in developing leadership skills and building community we believe that every individual contributes to the successes of a group experience and each person should be celebrated. We believe that the best learning happens when people are are active and engaged, when they are motivated and when they having fun! Whether coming to Camp as a school student, interest group member, conference delegate or family every Outdoor Centre visitor will benefit from a unique and memorable experience that will last a lifetime. We offer exceptional Outdoor Education opportunities throughout the year from September to June. WHO COMES TO CAMP TAWINGO? We welcome visitors from across town, across the province, across the country and across the world. We serve a wide range of people of all ages and a variety of types of groups, . School Groups - Elementary, High and Post-Secondary Level: Our object at Camp is to partner with teachers and administration to create and customize an outdoor experience to meet the needs of each group. This need will vary with size, age, time of year. We offer a broad number and type of different experience packages but we are equally happy to design an outdoor experience that focuses on any relevant topic not listed in these basic lists. We welcome classes from both public and private school boards. 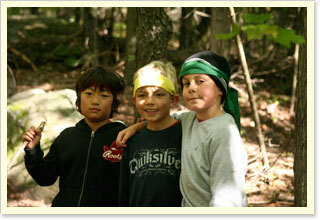 Special Interest Groups - Adult & Children:The Camp Tawingo Outdoor Centre has been the site for a myriad of unique and successful events. Like a school group visit, the program can follow a very traditional schedule for groups of scouts, cubs, outers’ clubs or training events.We are equipped to offer Conference-style facilities and programs as well. Specialized meetings and groups may design the use of our services to suit their needs. Some of the many groups to benefit from the Camp Tawingo Outdor Centre have been: Rotary Youth Leadership, Canadian Olympic Association Academy, 2005 Ripples Environmental Conference, COEO/OCA Conference, Children’s International Summer Village, music/band retreats, yoga weekends. 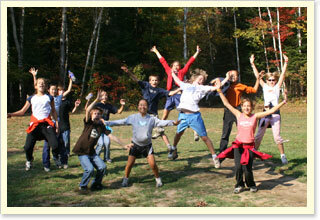 Family Weekends: Time and again, we are asked by summer camp parents to design a camp for them! On our family weekends in the fall and winter parents, grandparents and children alike can enjoy the the site, the season and each other! Our weekend activities are family-centred, relaxed, and recreational. Most of our family weekends run Friday night to Sunday afternoon and include individual family cabins, meals and program leadership. WHEN IS THE OUTDOOR CENTRE AVAILABLE? 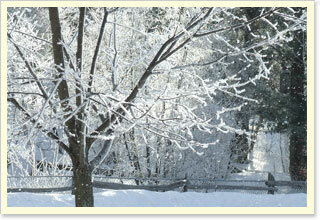 Each season offers its own version of dramatic Muskoka beauty and specific seasonal activity focus. Over the past decade, changes in the Earth's environment and its natural systems have emerged as a matter of increasingly urgent concern around the world. While the issues are complex and diverse, there is a shared and universal recognition that solutions will arise only through committed action on a global, national, regional, local, and individual scale. Schools have a vital role to play in preparing our young people to take their place as informed, engaged, and empowered citizens who will be pivotal in shaping the future of our communities, our province, our country, and our global environment.